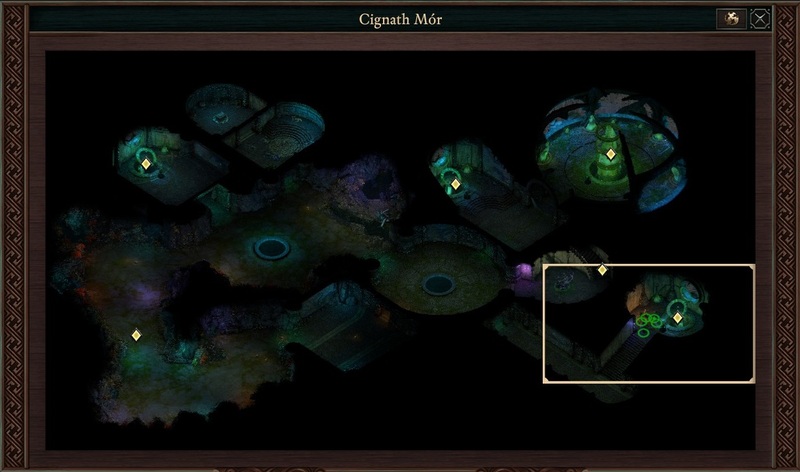 Cignath Mor is a location in Pillars of Eternity 2. Located outside Sayuka, you need to get quest Overgrowth to see it. 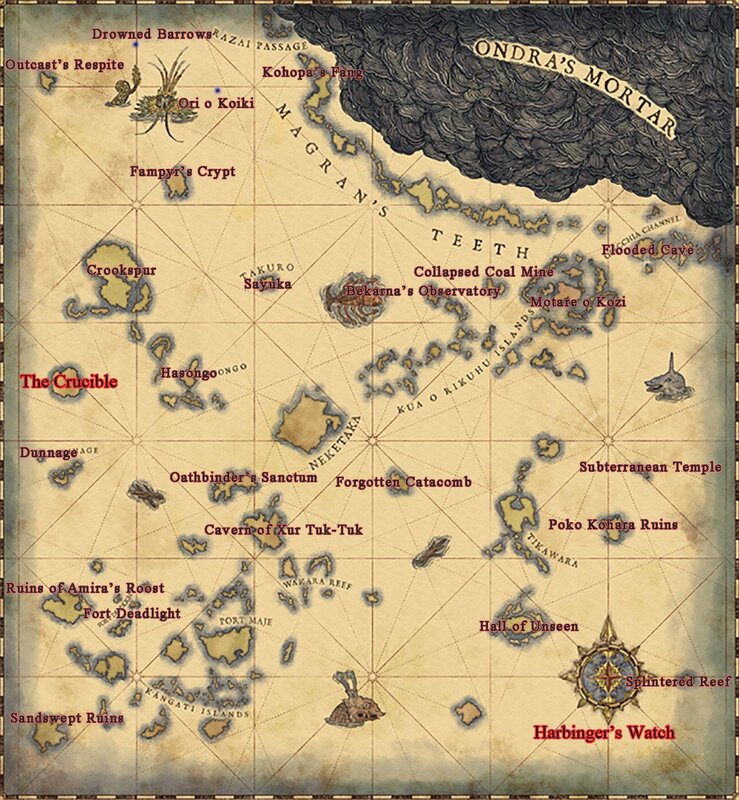 Location: Appears south of Sayuka -after taking the quest from Fleet Master Okaya. You must have spoken to Iverra to get the breathing underwater gear. If you choose to fight the Kraken, attack his tentacle closest to you, he will move the others to defend it and you can easily wipe his arms out to make the main battle with his head easier. The wizard spell Ninagauths Freezing pilar work great for his head. If you turn off the three machines, the area will flood and you will exit the area without solving the coral problem. The other option is to turn off the main Adra machine, however that makes Galawain mad and you will have to fight the Kraken on the way out of the area.